It’s hard to believe that it is almost time for back to school here in New York City. Not only will I be embarking on a new teaching journey as a high school reading teacher, but my boys will be starting fifth and eighth grade. There are lots of exciting things coming up this year including my son’s graduation, searching for the right high school that he will attend, and our younger son’s transition into middle school. As an educator, I cannot stress enough the importance of positive reinforcement when it comes to motivating kids to do their best academically and praising them for a job well done. Both of our boys are required to complete book reports over the vacation to support their summer reading. I knew that I would need to make this an enjoyable experience since getting kids to do schoolwork when they are off is like pulling teeth. That is exactly why I love the Teacher Rewards Kit. It is full of everything that I need to inspire my boys and students academically! This kit is full of some awesome resources! It contains 1,565 pieces made up of 60 award certificates, 300 notecards, 1,130 stickers and bookmarks. These are the perfect tools for rewarding good academic performance and inspiring kids to do well. I really like that everything comes organized in a convenient box that is both sturdy and attractive. I cannot wait to put it on my desk in my new classroom this September! 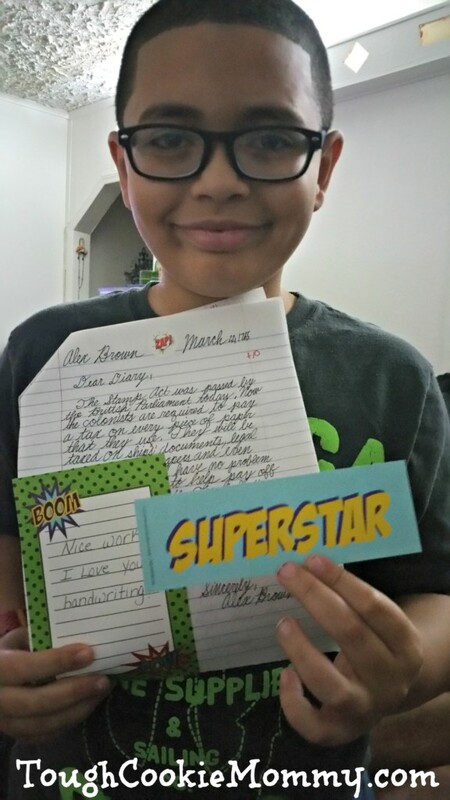 As you can see, my sons worked diligently on their book reports and were really excited to receive rewards and recognition for their hard work in the form of stickers and certificates from the Teacher Rewards Kit. You can purchase the Teacher Rewards Kit at Walmart this back to school season in the school supplies section for only $10! That is a small price to pay to kick off the new school year to a great start, take it from this teacher! 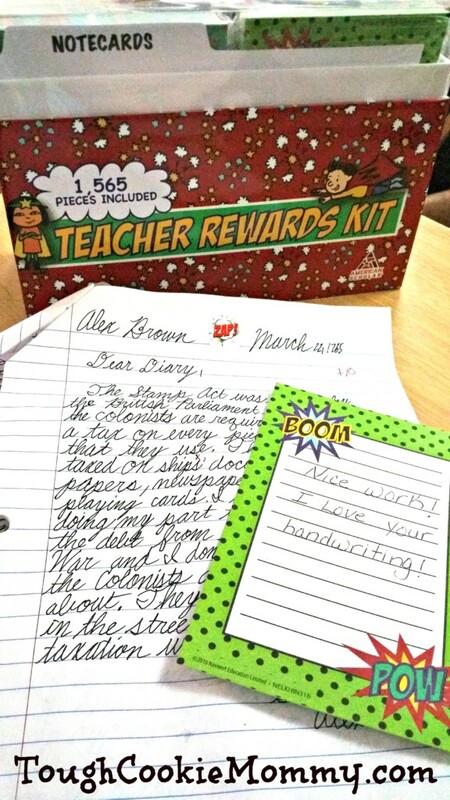 Let’s Discuss: What are some of the ways that you would use the Teacher Rewards Kit to motivate your children academically? This is really cool. I did not know they had this at Walmart. This kit could really help my son or daughter get motivated. I really like all the items in it. That is a really nice kit! My son thrives on being rewarded for positive behavior. I could definitely use that at home. This is such a great idea! I wonder how it will influence kids, having the same style of awards they’d get at school at home. The value is amazing for the price 🙂 Good luck with the first day of school! 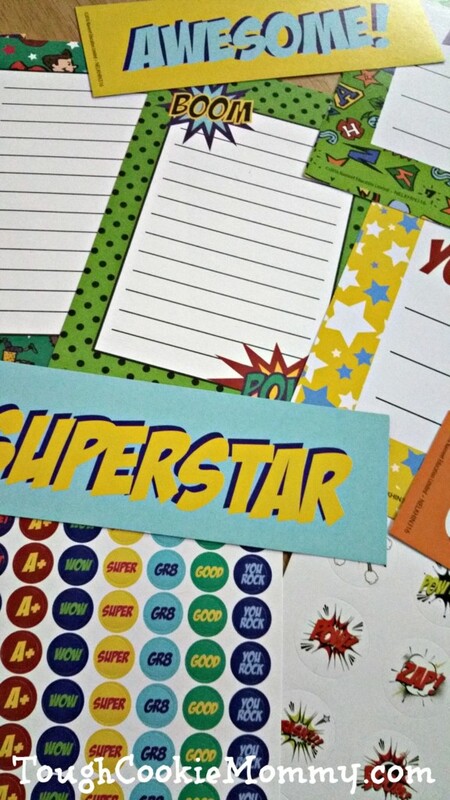 Rewarding positive behavior is so important to kids and this kit sure makes it easier! Love the kit, for sure. 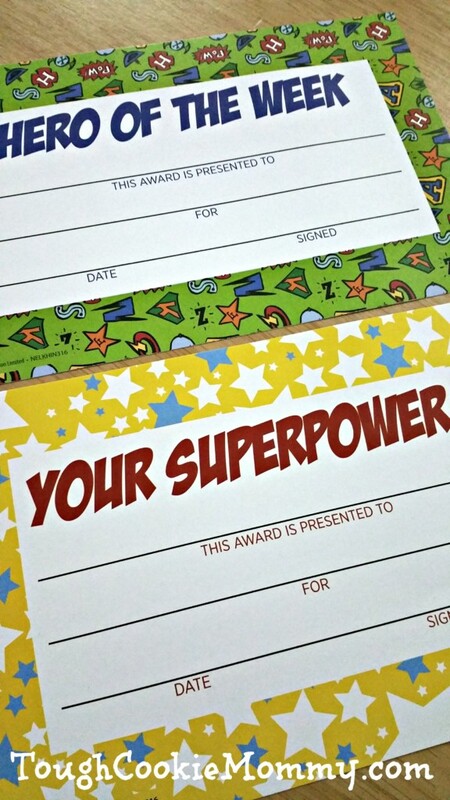 I love this rewards kit, I definitely think kids thrive when you reward positive behavior. Great idea for kids in school! What a great way to get kids excited for school!! I had no idea that Walmart carried these! We have always given teachers back to school and end of year gifts. I love this idea. Omg I bet my daughter would love this! I think it’s safe to say there isn’t a kiddo out there that doesn’t love praise for there accomplishments! I love the designs used in this reward kit. I know when I was younger, I loved to receive things like this from my teacher. This is pretty cool, I will let my sister know about this. My nephew and nieces love getting rewarded for doing good lol… I think all kids do! That’s a pretty good value. You never know how a teachers rewards kit can really make a kid’s day! These packs look like so much fun and very rewarding to,just what schools should be offering fab post! Enjoy the new year.